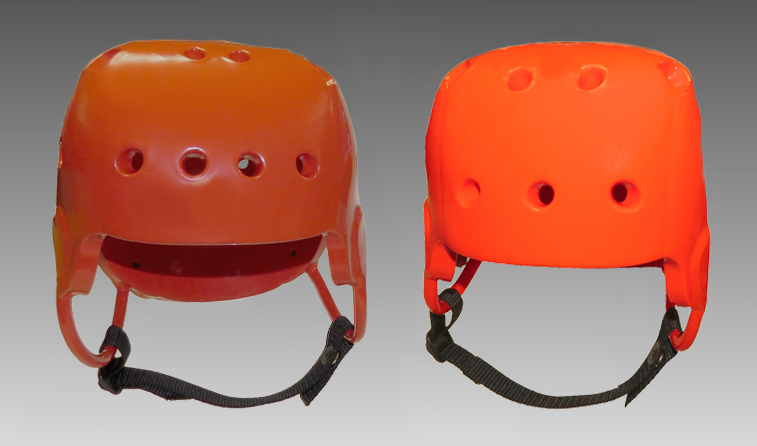 Due to the unique individual nature of custom helmets the following specifications are needed BEFORE evaluating the fabrication of a helmet for special head shapes, sizes, and conditions. Once this data is received we can provide you with a price quote. 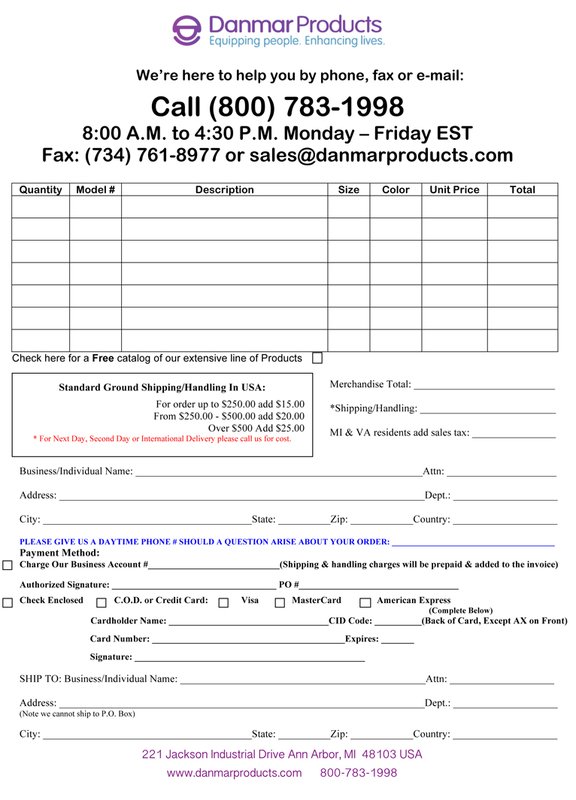 PLEASE NOTE: Custom to measure helmets are subject to a customization upcharge; see a Danmar representative for specifics. MEASUREMENTS: Please complete the measurement chart shown below according to the diagram shown here. 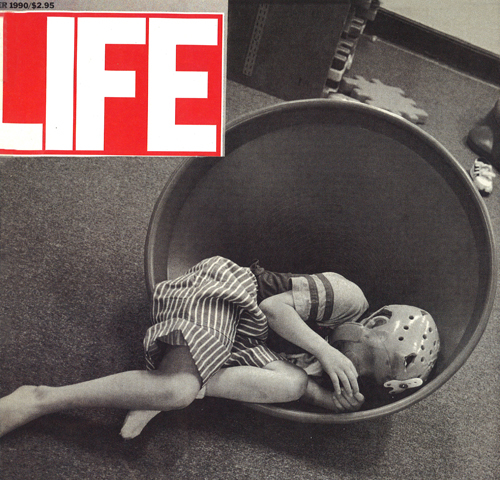 PLASTER CAST OF THE HEAD: Using plaster or fiberglass bandages create a cast that conforms to the areas of the head that you want covered by the helmet. The edge of the cast will be the edge of the helmet. Ear locations must be clearly marked, as well as any areas you want cut out. This step may not be necessary if the head is normally shaped, so please consult a Danmar sales rep before you make a cast. PHOTOGRAPHS: Show head close up and clearly and include shots of all 4 sides of the head. FACE GUARD / FACE BAR: Please provide a measurement from the eyebrow to the point of the chin. TRACINGS: For heads that are asymmetrical, use a Flexible Curve Ruler (available at your local Art Supply store or at artsupply.com. They are also called Graduated Flexible Curves or Draftsman’s Lead) to outline shape. Then lay ruler on paper to draw the contour. Label Right Left Front and Back. Example: If a client has a very long Occipital measurement with bone protrusions, place the flexible ruler against skull and bend, following contours. Remove the ruler, keeping the shape, and place it on its side on paper. Trace the inside contour like a stencil to show us the shape of the skull. NOTE: Because of variance in raw materials, manufacturing process, and hairstyles, there is some fluctuation in helmet fit. We will always work with you to ensure that your custom helmet meets your needs for comfort and safety. PLEASE NOTE THAT CUSTOM HELMETS ARE NOT RETURNABLE. B OCCIPITAL FROM EYEBROW LEVEL TO THE BACK OF HEAD, GOING OVER THE TOP OF THE HEAD TO THE POINT WHERE THE HELMET IS TO END. 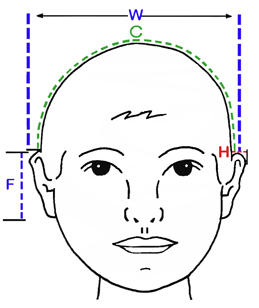 E EYEBROWS TO TOP OF HEAD AT EYEBROW LEVEL, FOLLOWING THE CONTOUR OF THE HEAD, TO THE POINT WHEREIT INTERSECTS WITH THE EAR TO EAR MEASUREMENT. 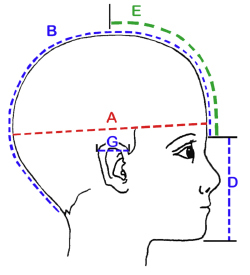 W WIDTH OF HEAD IS MEASURED ABOVE HEAD AND IS THE DISTANCE BETWEEN THE EARS (USE STRAIGHT EDGE RULER).